Eliza Reign shared the news of her expectancy last November. 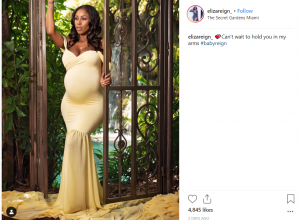 Many were shocked to learn that rapper Future was the father of Eliza’s unborn child since the celebrity father already has four kids with four different women. The rapper is expecting his fifth child with ex-girlfriend Joie Chavis. Eliza remained firm on the identity of her unborn child’s father even after claiming that Future made threats to her wellbeing. 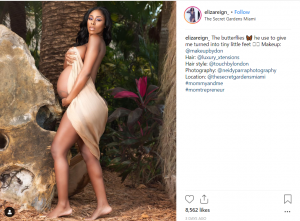 “I got [a] call from someone telling me to ‘be careful I heard Future want yo head,’” Eliza wrote in an Instagram post shortly after announcing her expectancy last year. “It’s sad to think a person I laid up with for years would put a price tag/value on my death and THE DEATH OF THEIR UNBORN CHILD,” she concluded. Eliza is rumoured to be Rappers sixth ‘baby mama’.